Shakespeare in the Park: an NYC summer tradition where all types of people come together to enjoy theater. Summer is just around the corner, and we’ve got the inside scoop on how make the most out of your the Shakespeare in the Park experience. Let’s dive in! What is Free Shakespeare in the Park? Free Shakespeare in the Park is a New York City summer annual, outdoor theater series sponsored by The Public Theater. These Shakespeare plays are performed at the Delacorte Theatre in Central Park and are – you guessed it – free! This season includes Julius Caesar (May 23 – June 18) and A Midsummer Night’s Dream (July 11 – August 13). 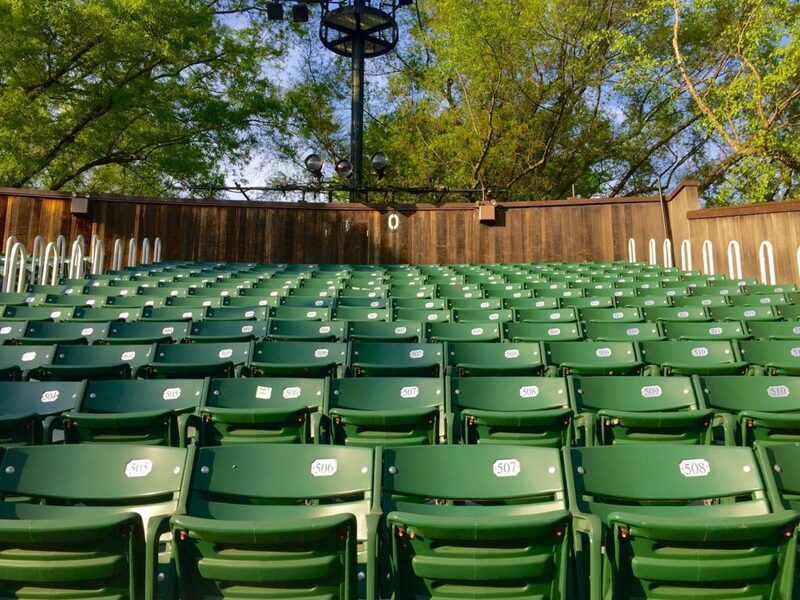 The beautiful amphitheater can be a bit tricky to find for first-timers: make sure you read up on the best way to get to the Delacorte Theatre in Central Park here. Summer Supporter Tickets. 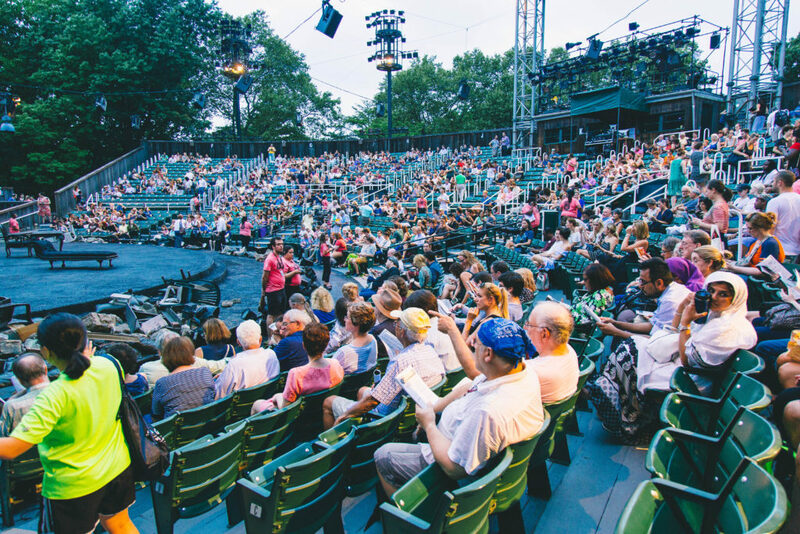 The only way to 100% guarantee your seats for Shakespeare in the Park is to become a Summer Supporter of the Delacorte season. With a $500 donation (or more), you’ll help to make sure that Shakespeare in the Park is able to run their high caliber shows for free for many others who cannot afford to reserve seats. If you’d like to donate, click here. TodayTix Digital Lottery. Shakespeare in the Park is meant to be free, and we’ve got you covered. All other ticket options include waiting in lines, hunting down tickets in your borough, or giving an expensive donation. To enter the free Digital Lottery for Shakespeare in the Park, click here. Also, #tellallyourfriends: you can increase your chances of winning by sharing on social media! Central Park line. This is the option that takes the longest. Every day of a show, tickets are handed out to those in line at the Delacorte Theatre at noon. If you want a ticket, you’ll have to remember to line up early, but keep in mind that Central Park does not officially open until 6am. Details on the Central Park ticket line can be found here. A blanket. New York can get chilly at night, so be sure to bring a sweater or blanket. We recommend a blanket so you can picnic in the park before the show. Bug spray. The one thing we always wish we packed, but never do! Snacks and drinks. One of the best things about this series is that you can bring anything in as a snack. Homemade popcorn? NYC Pizza? Strawberry-mint lemonade? If buying food at a venue is more your style, there are food and drink stands and carts, but who doesn’t love stashing some snacks for later? Just remember to leave the glass bottles at home, as they are not allowed into the theater, and stock up on water on hot days. A poncho. The show must go on! Weather in NYC can change in a heartbeat, but that doesn’t meant that the show will be canceled. Shakespeare in the Park is determined to give you a wonderful show, so they will do everything they can to wait for rain to pass, pause for a downpour, and continue the show in a drizzle. The Delacorte does not allow guests to open umbrellas in the theater (mostly for the safety of your neighbors), so we suggest bringing a poncho. You might feel like you have the word “tourist” stamped on you, but that’s half the fun. Your tickets. Wherever you got your tickets, remember to claim them from the Delacorte Box Office and bring them with you to the show! You can start to claim your Free Shakespeare in the Park tickets in person at the Delacorte Box Office at 5pm: this gives you three hours to enjoy dinner or a picnic before the show begins. New York has some amazing food, and we’d love to suggest some crowd favorites near the theater. The Loeb Boathouse. Eat in the cafe that’s featured in practically every New York romcom ever. It’s a little pricey, but it’s a must do on the Central Park checklist. Check out their beautiful view of the park and menu here. Shake Shack. This burger joint is a NYC staple. They have milkshakes, homemade lemonades, and all the hot dogs and burgers you’d like. 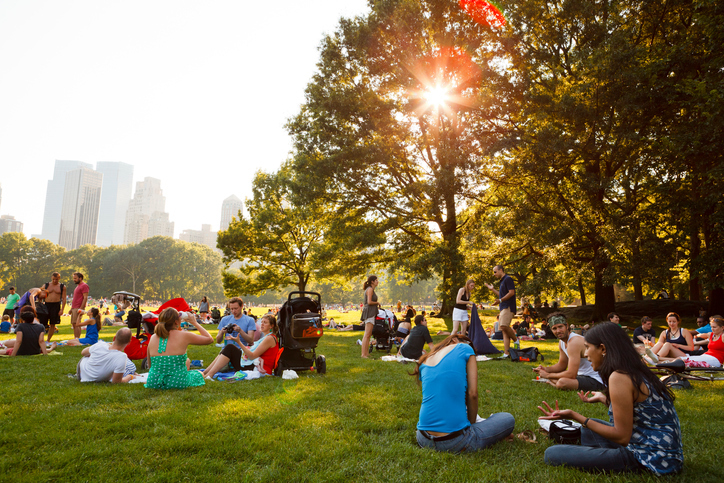 Eat in or take it to go for a picnic on the Great Lawn in Central Park. Here is their menu. Le Pain Quotidien at Conservatory Water. If you’re looking for french cafe food, Le Pain Quotidien is the place to be. This location is counter service with outdoor seating, so you’ll be submersed in the park the entire time. Find them here. Chirping Chicken. Cheap and and delicious, this solid chicken choice is a hidden jem. Head over to Amsterdam Avenue on the Upper West Side for this bundle of yum. Dean and DeLuca. This chic grocery store offers fresh food in almost every category. There are sandwiches and salads, sushi and a bakery that includes a selection of Dough donuts. If you’re looking for a variety of classic food, check out their Madison Avenue location here. The Meatball Shop. The Meatball Shop saw a recent rise to fame when they were featured on popular social media page INSIDER Food. Serving up a variety of meatball bowls and sandwiches, this restaurant is only two avenues away on Amsterdam Avenue on the Upper West Side. 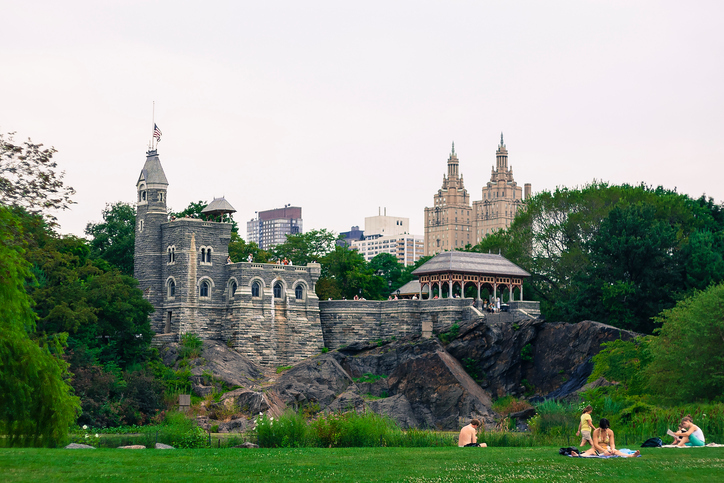 Visit Belvedere Castle. Another free and beautiful thing to do with your evening near Central Park, the Belvedere Castle is one of our favorite spots. If you arrive early enough, climb to the top of the castle to get a great view of Central Park on one side and the backside of the theater on the other! That’s right: grab a sneak peek of the set and backstage area of the show, for free! The American Museum of Natural History. 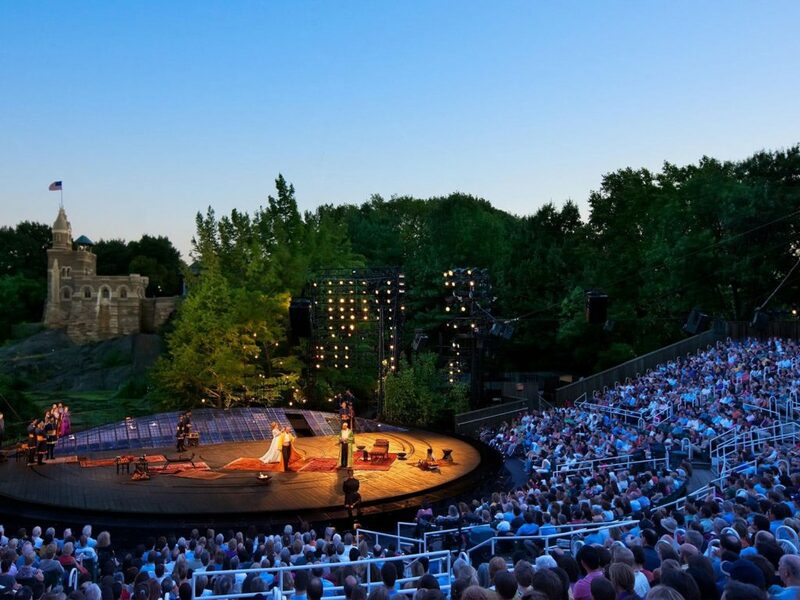 The Delacorte Theatre is smack dab in the middle of Central Park, making it super close to two of the best museums New York City has to offer! On the west side of the park, visit The American Museum of Natural History to experience science, dinosaurs, and the history of all living things, under one roof. The Metropolitan Museum of Art. Across the park, on the east side, is The Metropolitan Museum of Art. Here lie beautiful, rare, and diverse pieces of art from contemporary works to pieces more than 5,000 years old. Picnic on The Great Lawn. Shakespeare in the Park is located inside the best park in the world, Central Park. Before the show, grab a blanket and sprawl out on the serene and green Great Lawn. You won’t even know you’re in the city. Free Shakespeare in the Park is right around the corner, so set your alerts for the TodayTix Digital Lottery today! Did we miss anything? Let us know on Instagram and Twitter.